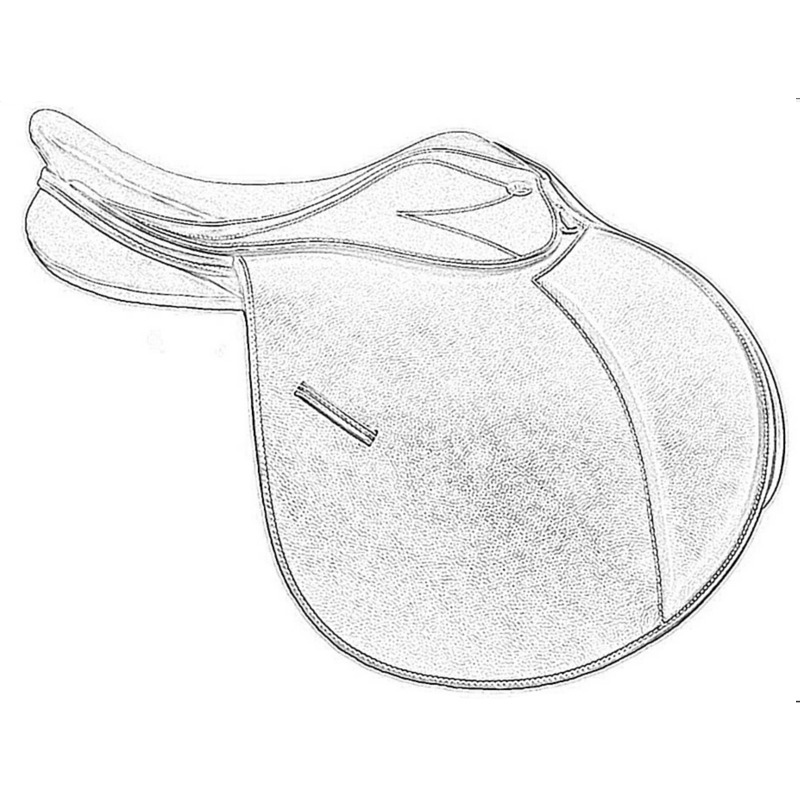 2011, was when the first of many saddle sketches were created. 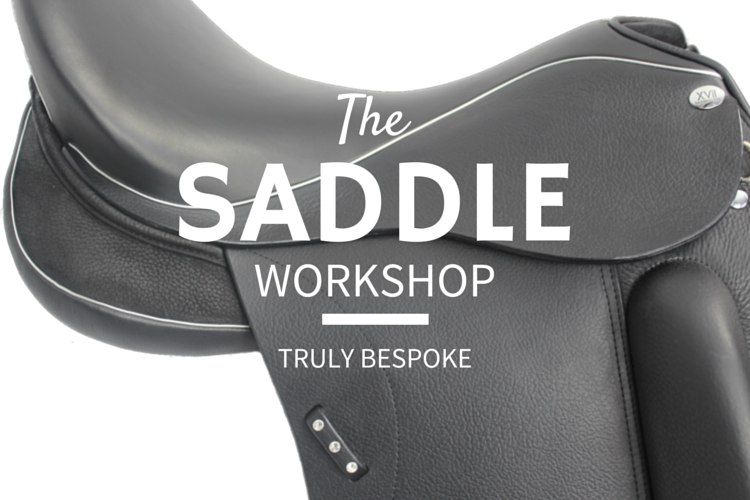 The vision of a saddle that was both beautifully made and rich in function. Through design and development, much was learned. 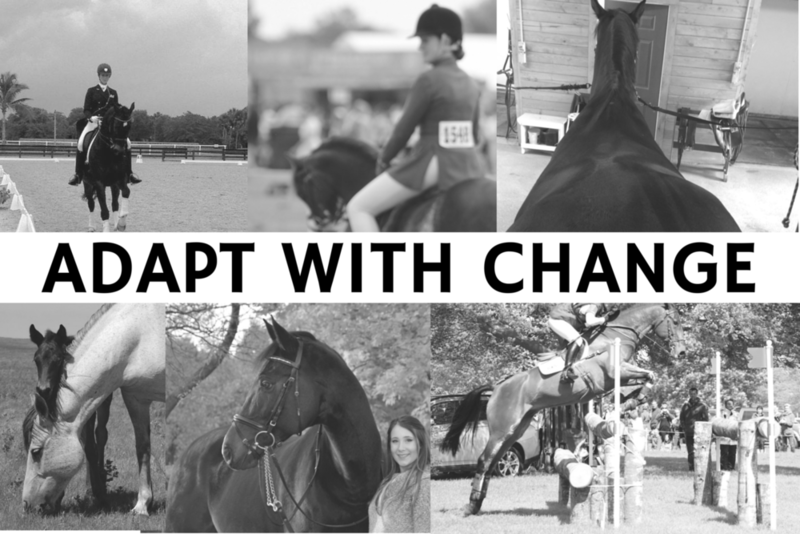 With goals to develop a saddle that could change with specific horse and rider requirements combined with supreme product quality. The plan was to manufacture the right way through proper channels, developing a product that not only has the look but could withstand the demands for optimal performance. This saddle needed to adapt. Something in which we accomplished with pride. Designed for today's short backed horse. The curvature through the back of the panel allows the saddle to sit within the saddle support area (in front of the last supporting rib, giving the freedom through the lower back). A wide set panel for optimal weight distribution throughout the entire panel. Dramatic shoulder cut back to allow for ease of shoulder rotation and comfort. Ergonomically designed paneling from front to back ensuring clearance and support of all major muscling groups and nerve endings. Pure English wool flocked panels for full adaptability to ensure optimal balance within the saddle support area. Designed and developed within our team of professionals which included one of the top European aerospace engineers. Developing the Monarch saddle tree has taken time and patience through strategic planning, 3D scanning and product testing. The Monarch saddle tree is made of a high performance material that can withstand the rigorous workload of a performance saddle. Stainless Steel fittings are used instead of standard steel fittings to ensure of product quality and maximum support. A modern saddle tree that can be adjusted to match the shoulder angle as the horse changes shape or if the saddle is fit to another horse. Rotated back tree angles for optimal shoulder freedom and clearance. A tapered twist to ensure the perfect fit for rider available on all models. 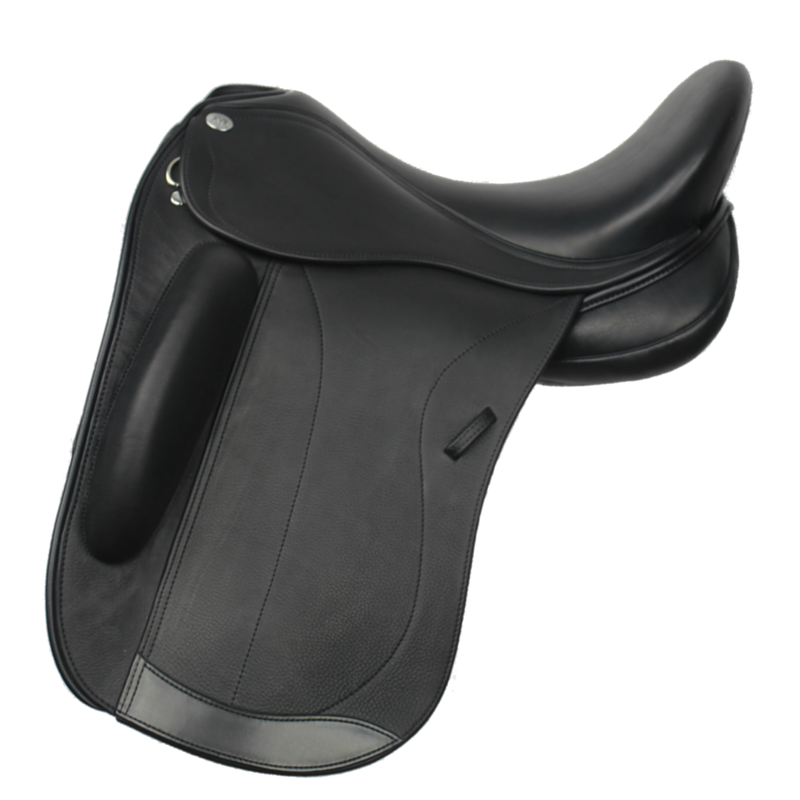 A center balanced seat distributing the riders weight over the horses saddle support area. Multiple seat depth options to fit every riders preference. Extra extended stirrup bars to allow the riders leg to fall naturally under their hip giving the perfect picture and most importantly an effective ride. Multiple seat foam options for all preferences of seat softness.